Cristy Clark is a lecturer at Southern Cross University. 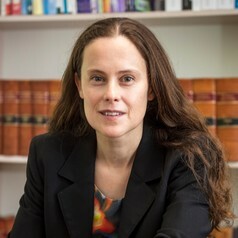 She earned her BA/LLB from the Australian National University, and completed a PhD in Human Rights Law and a Masters in International Social Development at the University of New South Wales. Her research focuses on the intersection of human rights, environmental justice and neoliberalism, and on issues of legal geography and the commons. Her work has been published in leading journals, including the Human Rights Law Review and Ecology Law Quarterly.